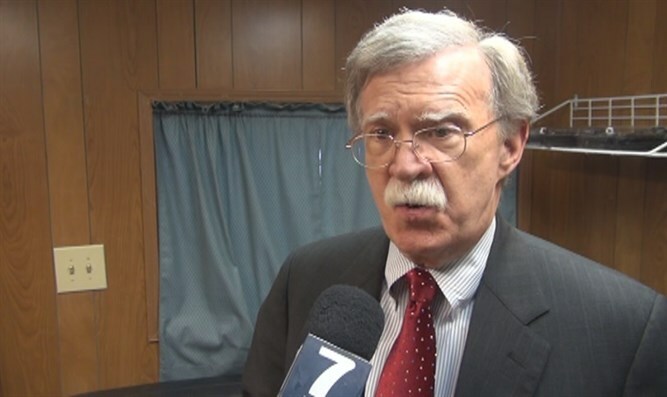 Former US Ambassador to the United Nations John Bolton on Friday told Fox News that US President Donald Trump took a "major step" towards ending the Iran deal by announcing his decision to decertify it. "I think by announcing again how bad he thinks the deal is, he's signaled pretty clearly that he thinks he's going to get out of it in due course," Bolton said. "My preference, and I've said this all along, is that we just gotta aggregate the deal and get out of it." "He's adopted a two-stage approach but I think there's a very important line in the speech that says that he reserves the power to get out of the deal at any moment. It's under continuous review, he is making it clear that ultimately the decision is his, and I think that we're headed in the right direction. I would have been happier resolving it today because I think clarity is important but we're on the right path, I believe." Bolton admitted to speaking to Trump earlier this week but refused to detail what was said. He did say, however, that he thinks Trump has "demonstrated....[that] he understands the threat of nuclear proliferation form the likes of Iran and North Korea, and he's determined to prevent it on his watch. He's been left with some very unhappy options in both cases, and as I said, beginning the process of ending this deal is a major step, a huge departure from [former US President Barack] Obama, and you know, it doesn't look like the Hillary Clinton presidency, either." Bolton was also asked to answer former Secretary of State John Kerry's criticism of the deal and insistence that "Fifteen or 25 years from now, you will still have the military options you have today. So what's the rush?" Responding to Kerry's claim, Bolton said that "this deal doesn't mean a thing to the Iranians, and the very fact that we've gone through this negotiation shows they can't be trusted." "People seem to have forgotten, starting with John Kerry, not to mention the Europeans, that Iran is a party to the nuclear non-proliferation treaty where they solemnly pledged never to seek or acquire nuclear weapons," Bolton said. "They've been violating the non-proliferation treaty." "This deal is inherently unworkable, and it was a surrender by the Europeans, and it was a surrender by Kerry and Obama. "I remember very clearly....these same European countries...said 'we want to negotiate with Iran. Our aim is to stop all uranium enrichment... We won't even agree to negotiate with them unless they suspend all enrichment activity during the negotiations.' And they systematically gave that position up. "What the President did today is the first step in reversing that, and it's an important step. Not as far as we could've gone, but we're on the way. And if they're unhappy with it, well, they can decide whether they want to trade with Iran, or whether they want to trade with us."